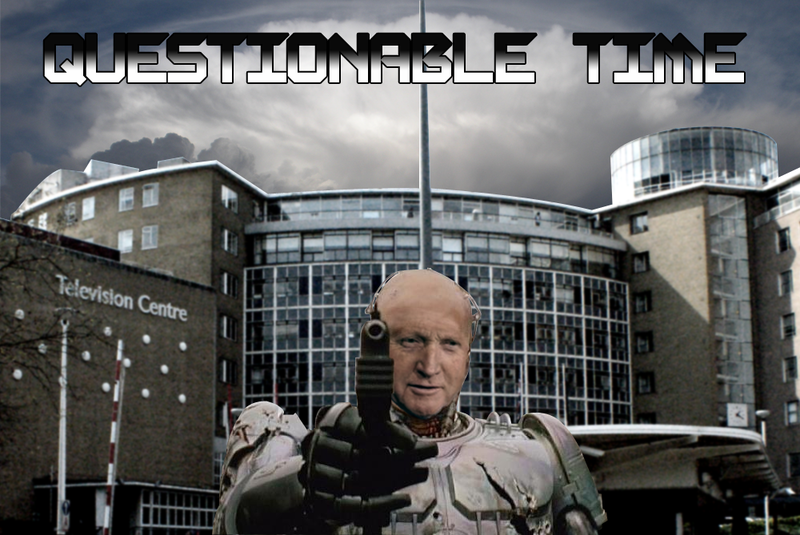 Tory-led Spending Review + Newcastle + Question Time = ? That should be easy enough to figure out – after all Tyne and Wear is solid red when it comes to electoral results and even if we factor in that the QT audiences are picked to represent the political make-up of the nation as opposed to the locality, the maths should still be fairly straight forward to figure out, right? Wrong. Nope, I’m afraid this is a case of dunce’s hats all round as no matter which way you cut it, Labour came out of last night’s encounter looking thoroughly bruised. So what gives? 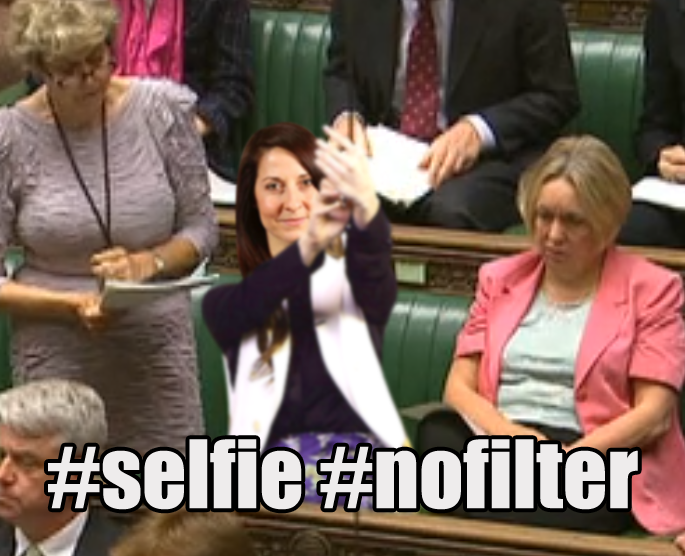 I guess the logical place to start is with their horse in last night’s race, Liz Kendall – one of the 2010 intake who is so far famous only for inappropriately tweeting pictures of Parliament (see Fig. 1). Now, in QT terms she’s still pretty wet behind the ears having only one outing under her belt and there was some clear evidence of n00bishness going on (the frantic scribbling of notes throughout the show, the wall of statistics she’d produce at regular intervals, the being hoisted on her own 50p tax petard) but it wasn’t n00bish enough to warrant the frosty response she got. Take her first answer for example: She got to open the show with a response to the Spending Review question and did so with a comprehensive charge sheet aimed squarely at Teams Blue and Yellow. Still vaguely awake at this point, I waited for the robust applause to arrive and put some credibility icing on this largely competent cake but was instead treated to a parade of tumbleweed and scowls. More of the same was the order of the day for the rest of her innings, but it wasn’t Kendall herself – over-eager and trying very, very hard as she was – that seemed to be the cause of all this audience ire. Something else was going on. …And to that I’d reply ‘You’re half right’ as she was up against one of QT’s most frequently underestimated panelists, David Willetts. ‘Willetts? The egghead with the ridiculously soft looking skin?’ you cry as I start to worry that this fabricated conversation might soon overrun the entire paragraph… ‘But he’s soooooo boring!’ to which I’d respond with ‘Ah ha! But that’s one of his secret weapons!’ before quietly shutting down this fictional exchange for fear that I’m beginning to look a little mad. I start making ‘I must be getting on’ gestures, you start feeling a little uncomfortable and we go our separate ways, never to speak of this again. There, it’s over. So anyway, Willetts: Underestimated a) because he looks and sounds largely innocuous and b) because a he’s right ‘un for triangulating his answers. Did you catch how many times he ended sentences with allusions to ‘a sensible third way’ or some sort of ‘reasonable middle ground’? Well that’s what he does and he goes about it in a meticulous fashion, precisely measuring out the maximum amount of It’s All Their Fault/We’re Really Not That Bad he can get away with before igniting the mixture and escaping under the cover of the ensuing smokescreen. As an offensive tactic this has limited value but that’s not really what David Willett’s is for. No, Two Brains is the kind of guy you want when you’re in a potentially sticky situation (like being a Tory in Newcastle after announcing billions in cuts) and to that end he did really well – to the point that he actually got quite a bit of applause. But this still doesn’t explain why Labour had it so hard last night as Willetts’ effort were mostly directed towards holding the line. What of Simon Hughes? Was it he that laid the Red Team low? So it must be down to the civilian panelist then? Again, no – but there is a revealing clue in it all that I’ll get to in a second. First off though I must admit that there was some very good baddying going on from Jill Kirby, a panelist who is so cut-and-dry in her veneration of all things free-market that the Snowden affair becomes less about the implications for free speech/national security and more of an HR issue. The government just downloaded the entire internet? Boo-hoo. Some guy breaches the terms of his contract? OH THE HUMANITY! So yeah, that was fun. However, it’s Mark Steele – a man I’m generally on board with but who’s never more than a cross-media collaboration with Billy Bragg away from annoying me – who provides us with the final piece of the jigsaw. He had a good run last night, saying the things that – by rights – Labour should but also by tapping into the real reason why the crowd were so anti Red Team: It was the feeling that they’d been betrayed by an Opposition that should be fighting their corner. And therein lies the problem for Labour – they’ve let the Tories choose the music for the next election and that will cost them, particularly in places like the North East where there’s a very sentimental attachment to the Labour movement. Of course, the cold hard logic is that they can afford to burn some political capital in the North (after all, who else are they going to vote for?) in order to chase those juicy Southern swing voters but there is something rather unedifying about it all. There’s also something a little unedifying about David Dimbleby slapping a table but in his defence, at least it woke me up. Well, there you have it… a red-eye special that stands in stark contrast to the giddy tomfoolery of the past two shows. Anyway, that’s nearly it for this run as we have one more episode left and then it’s the summer hols. And what will I be doing with this new-found Friday freedom when it arrives? Illustrating misheard lyrics, that’s what.